Have I selected the right person? Am I helping him/her to learn and develop? Have I created a motivating environment? Ultimately the responsibility ends with the Employer. Perhaps it is one of the above factors that you may have got wrong. A poor selection will inevitably mean getting the remaining three wrong. People are tremendously complex. There are tools out there that will help you define the factors that will make an individual successful in a particular role. These tools cut out the ‘guess work’ in the recruitment & selection process. 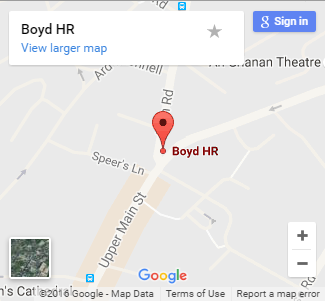 You too could be a Bill Gates with a little help from Boyd HR.